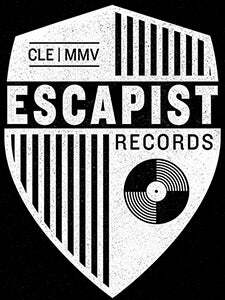 My Mouth Is The Speaker offer up their first vinyl release and Escapist debut with “In Focus.” The Ohio-based quartet culls influence from a wide range of genres, combining the infectious hooks and energy of punk and alternative rock while juxtaposing the nuances and intricacies of emo and post-rock. The four songs that make up “In Focus” fuse these varying influences into a cohesive and dynamic sound that has drawn comparisons to I Am The Avalanche, Balance & Composure, Minus The Bear, and Hot Rod Circuit. All vinyl of “In Focus” comes packaged with a digital version of the EP.